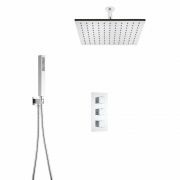 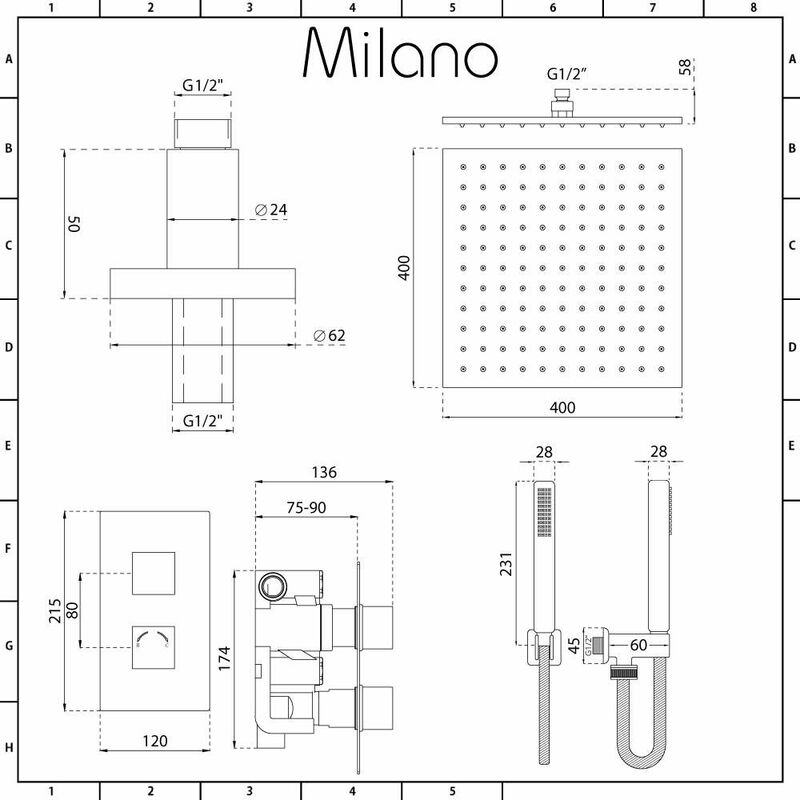 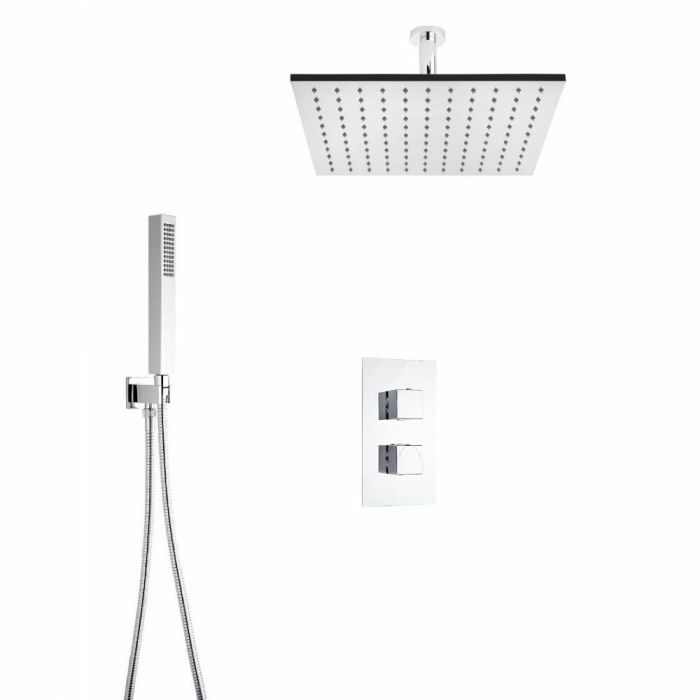 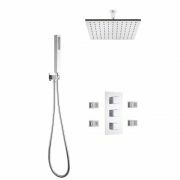 Add smart, designer style to your bathroom with the Milano twin thermostatic shower valve, 400mm shower head and shower handset kit. 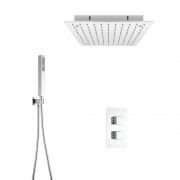 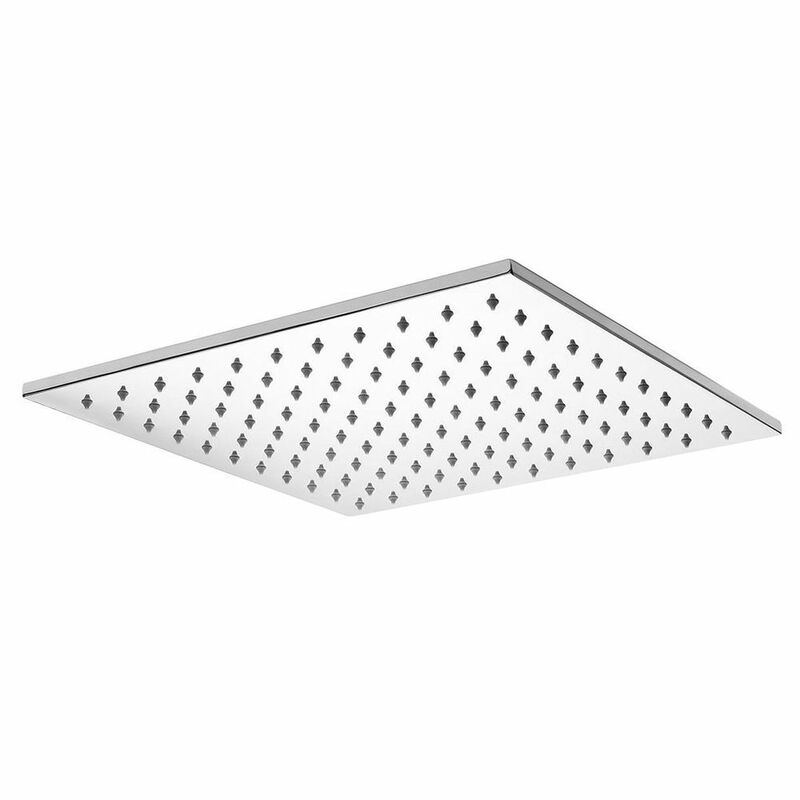 Made from stainless steel, the large shower head delivers a refreshing rainfall effect, while the hand shower can simply be removed from the bracket so you can rinse and clean around your enclosure with ease. 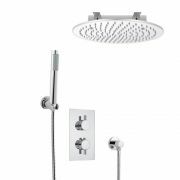 The solid brass shower valve incorporates anti-scald technology to ensure a safer showering experience. 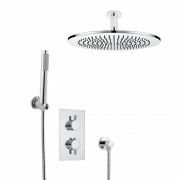 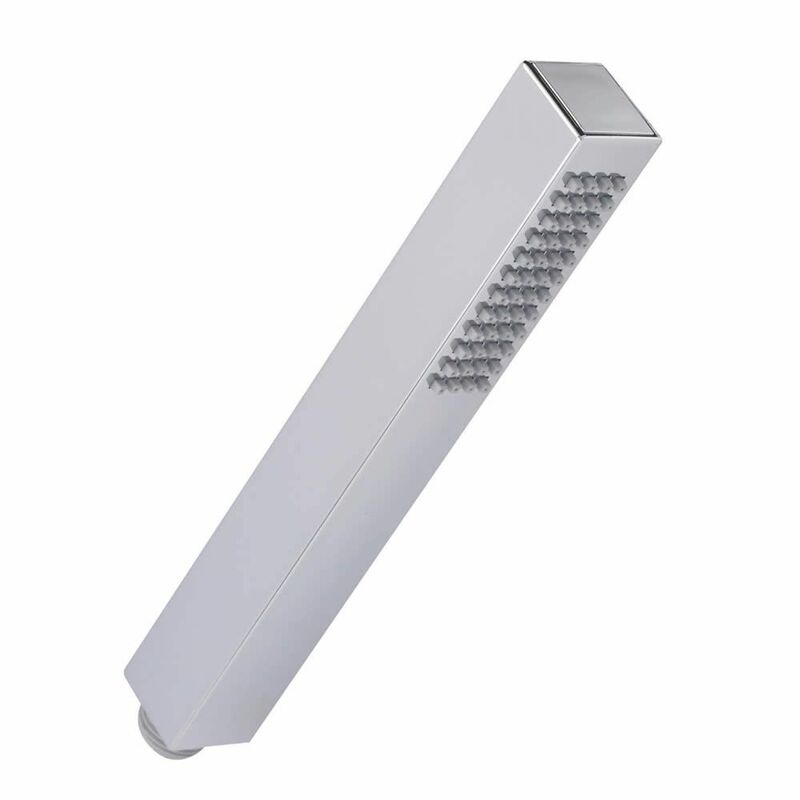 It provides smooth and precise control over the flow and temperature of the water. 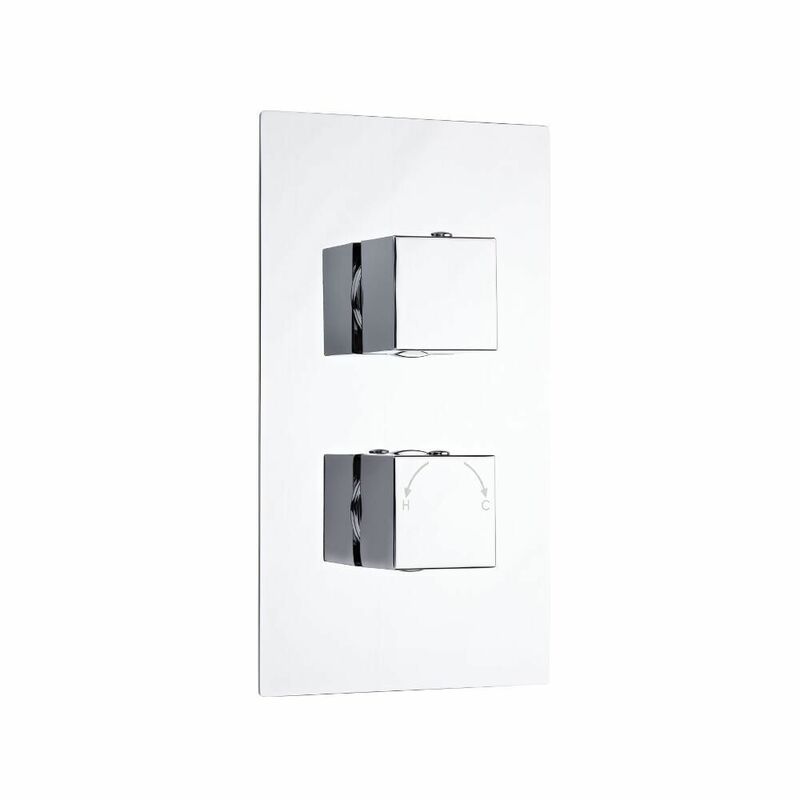 The diverter allows you to switch between the shower head and handset.